Kelvin Guo (clarinet), was 17 years of age when he was the co-winner of the 2013-14 Khuner Competition, then a senior at Miramonte High School in Orinda. He played clarinet and bass clarinet with the San Francisco Symphony Youth Orchestra for its 2013-2014 season. 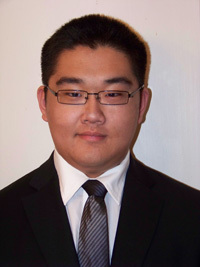 Kelvin won various local youth competitions, such as the Berkeley Etude Club’s 2013 Competition, where he held a double placement in the Senior Division (first place on piano and third place on clarinet). He participated in various local youth orchestras, including the Young People’s Symphony Orchestra and the Stanford International Summer Youth Orchestra. As an aspiring chamber musician, Kelvin participated in the SFCM’s Summer Music West.